Oh my cat! When I got an email from Urban Outfitters that was titled Happy Catober, I knew I was in for a real treat. Urban Outfitters has teamed up with Lil BUB for an Instagram contest. Details here. The winner gets a Lil BUB prize pack, which sounds amazing! How do I know? 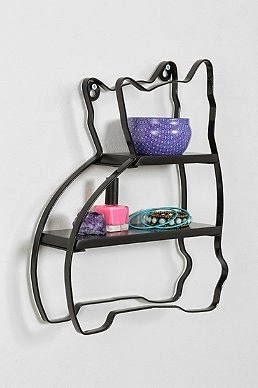 Urban Outfitters has a whole page for Catober with tons of cat themed products, which you can see here. Lil BUB's partnership with Urban Outfitters is double the awesome, because it supports Best Friends Animal Society. It is awesome to hear that Urban Outfitters is supporting such a great animal organization, because of Lil BUB! According to BUB's website, she was the runt of a feral litter discovered in Indiana. She needed special care because of her genetic anomalies such as being a "perma-kitten" (staying kitten sized) and extreme dwarfism. She is so lucky to be healthy and able to be an advocate for homeless and special need animals all over the universe! Plum & Bow Cat Curiousity Shelf, $39. 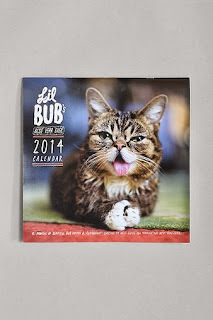 Lil BUB 2014 Calendar, $15. 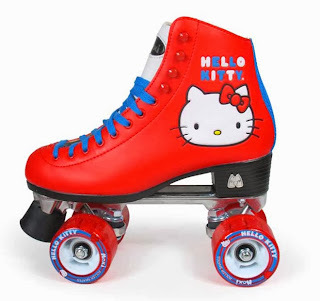 Hello Kitty Moxi Roller Skates, $200. Let me know what your favorite items are! Good luck if you enter the Lil BUB Instagram contest!